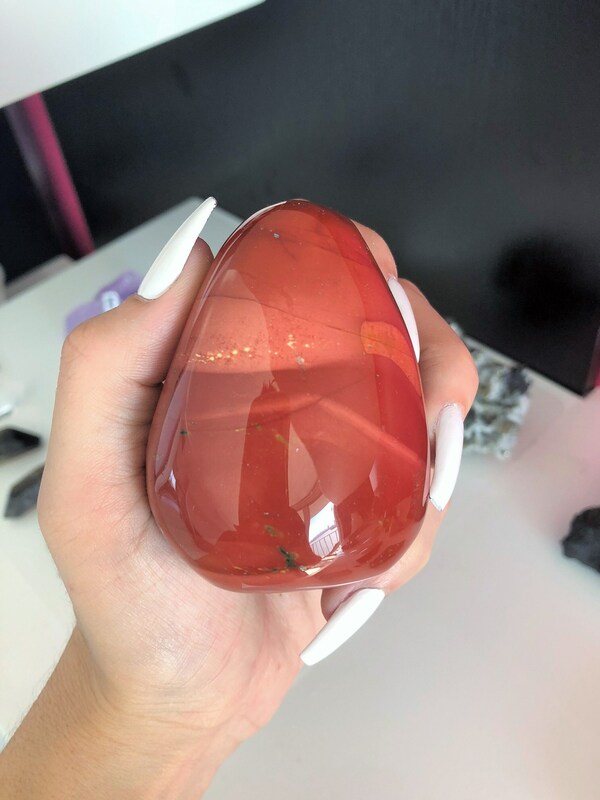 Receive this lovely standing red jasper palm stone seen in the pictures. 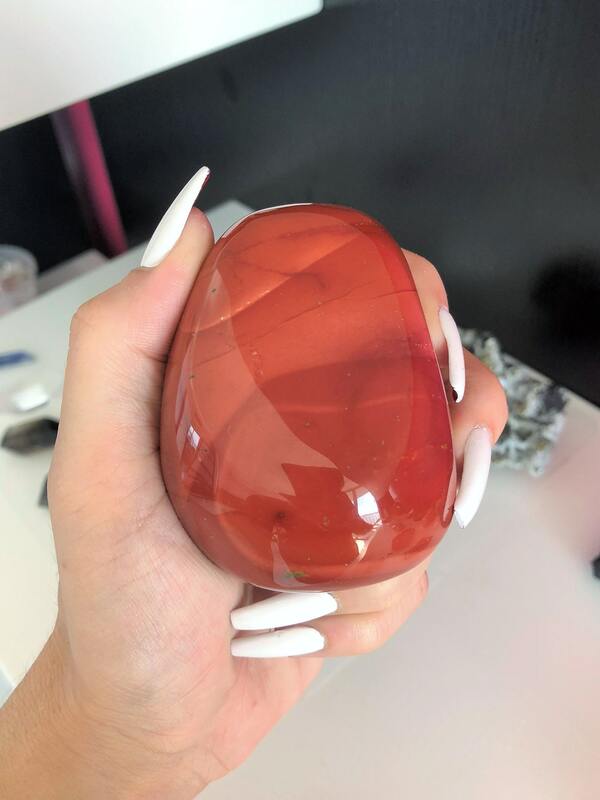 Red Jasper Stone stimulates the base and sacral chakras in addition to cleansing and stabilizing the aura. Jasper removes negativity from any space, returning it to its original source. Red Jasper known as the "Stone of Endurance", bringing physical strength and energy, stamina, focus and determination. Its steady frequency calms the emotional body creating a lasting, stable energy for improving health or overcoming illness, setting goals and following through to completion, facing unpleasant tasks and having the courage to rectify wrongs. 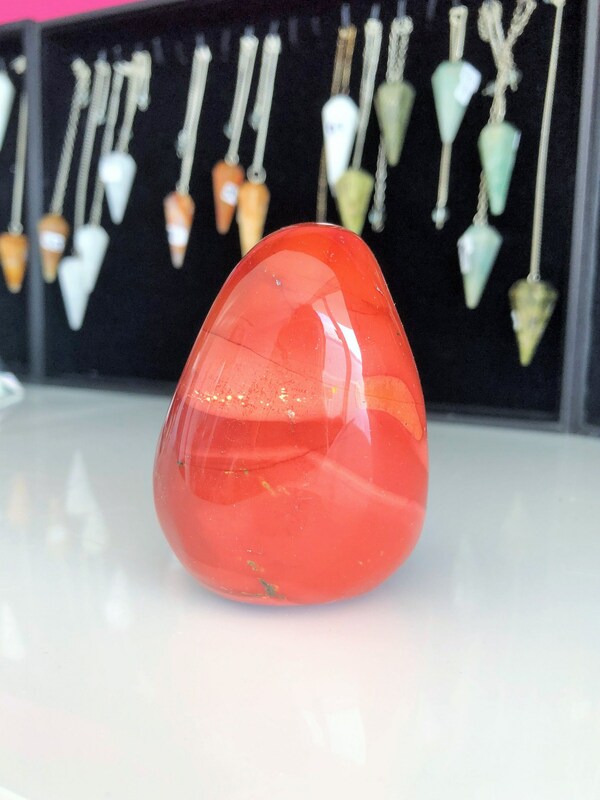 Red Jasper activates the Root Chakra and stimulates the rise of the kundalini energy throughout the chakras, cleansing and strengthening the aura. 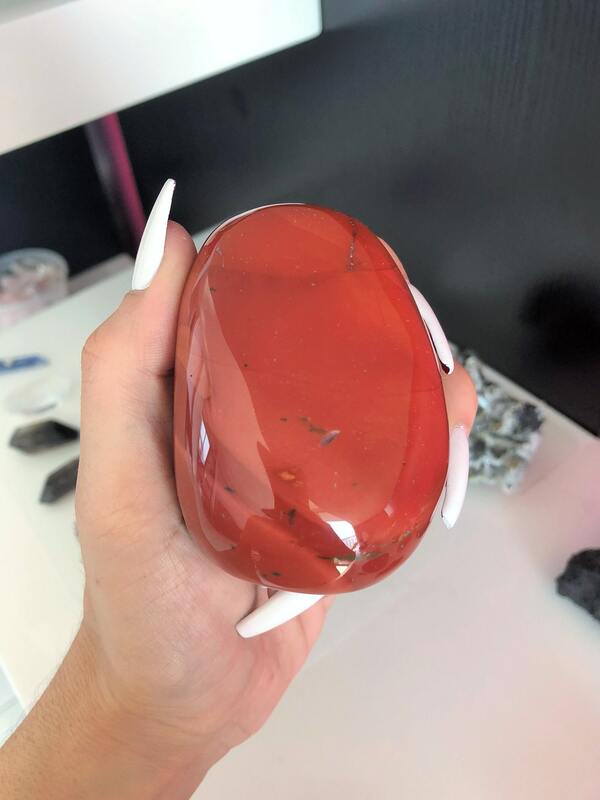 It is a stone of passion, useful for restoring and rejuvenating the libido, and in manifesting creative ideas. Listing is for the SAME Palm Stone in pictures. Same palm stone- front and back. Color changes according to the lighting available.